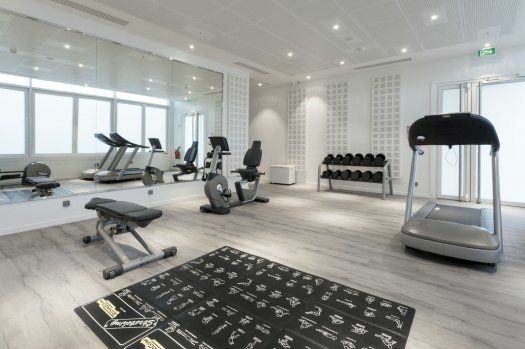 This four star hotel establishment belonging to the Marriott group is located within the business airport of le Bourget, opposite the business aviation terminal and within proximity of the Air and Space museum as well as the Paris exhibition center Le Bourget. 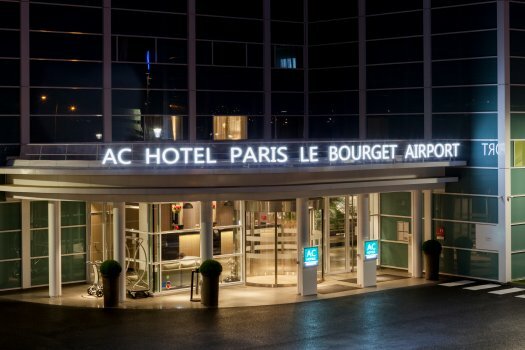 Its very privileged location makes it an interesting accommodation solution for business and leisure travellers who are looking for a room close to Paris - Le Bourget airport for a night or for Day Use. 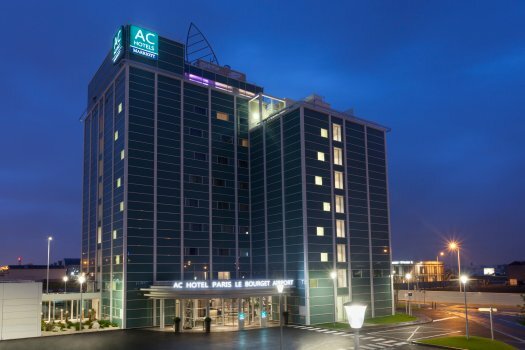 It is also a particularly well located hotel as it serves Parc des expositions, a venue for some major international exhibitions and events such as the Paris air show. 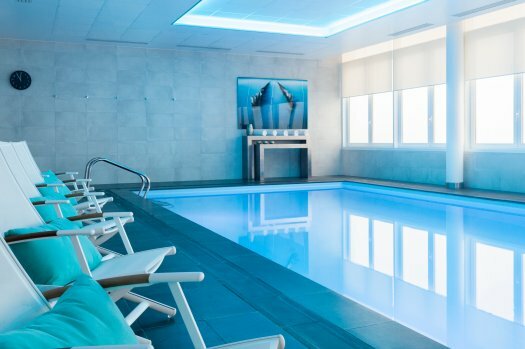 An indoor swimming pool, a hamman and a fitness center are open 24 hours a day and 7 days a week for hotel guests. 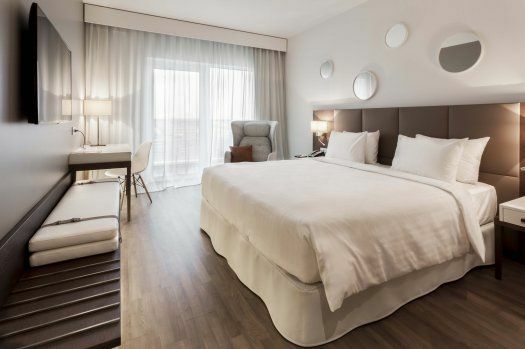 The hotel is accessible to people with reduced mobility, it features a lift and private carpark. 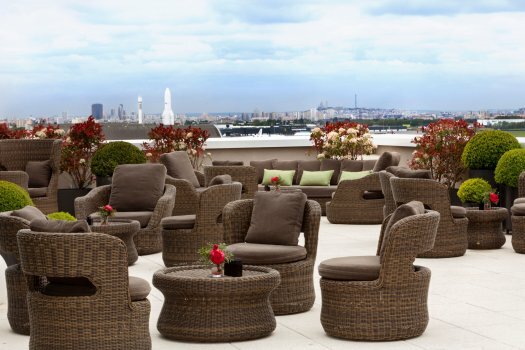 The hotel has two restaurants, one is a "bistro type" and the other offers a panoramic view as it is located on the rooftop terrace of the hotel. 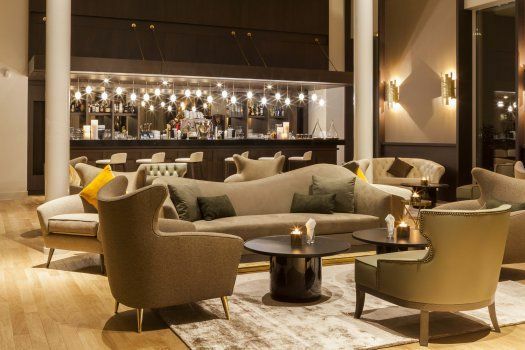 Restaurant L’Envol at le Bourget: this catering-service venue with its modern design is open from Monday to Sunday, non-stop from 12 :00 to 10 :00 p.m.
Bar Panoramique l’Atmopsh’Air (open from Monday to Friday from 5 :00 p.m. to midnight, and on Sunday from 5 :00 p.m. to midnight, the bar is closed on Saturday). 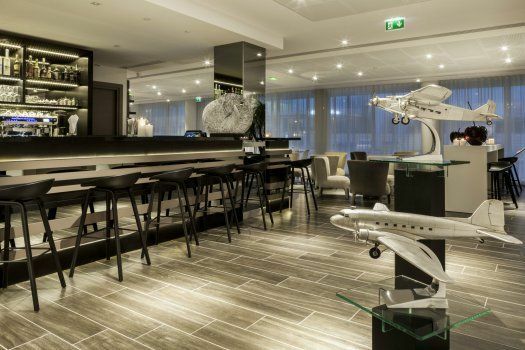 The bar l’Atmopsh’Air is located on the ninth floor, you can enjoy a panoramic view of the Parisian skyline and the runways of le Bourget airport; cocktails and snacks are available. The 230 m² of the outdoor terrace can be completely privatized. 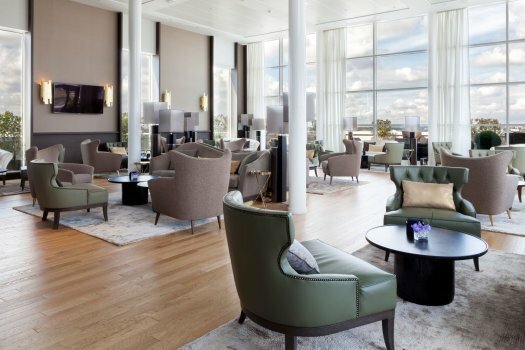 Two meeting rooms can be rented (80 to 100 people).